I’m modelling a matt-black plastic cylindrical object (it’s a rain gauge, actually) which is outdoors. 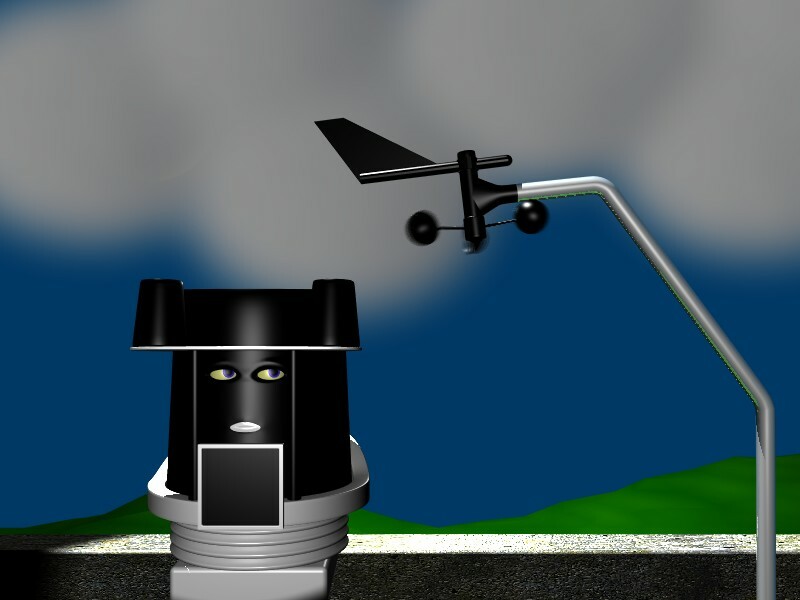 Part-way through my animation there is a rain shower, and I would like the plastic to look wet. I tried turning on ray-tracing, but that makes the object pick up a lot of blue from the world colour, which is not what I want. Can I somehow make my object ignore the world colour (but I still want a blue sky)? Or am I going about this wrong? Should I be using reflectivity and/or specularity (I fiddled with them a bit, but didn’t get good results)? I don’t need anything hi-fidelity here, just a visible difference between dry matt-black plastic and wet black plastic. Well. You could composite the background (check compositing nodes). This would allow you to use any world colour you want. You can use animated materials, and animate the specularity and hardness to increase. that will give it a wet look. Compositing the background - that’s a good idea. I shall try that. Here’s a frame from the “dry” sequence. (It’s the guy on the left that I’m interested in.) I don’t have a photo of the effect I want, but I would like it to look shinier, without reflecting anything clearly. I did have a liitle play with animating the materials, but it didn’t seem to make a very noticeable difference. I have ref 0.8, spec 0.5, hard 50 (standard shaders), and I tried increasing them but the result didn’t look very wet. It turned out to be easy in the end: I just need to increase the hardness a lot more.